From glamorous parties to exclusive events, Ahmed Beltagy, party planner par excellence, has conquered Cairo’s social scene, and set a new standard for Egypt’s entertainment business. eniGma’s Radwa El Ziki talks to the entertainment guru about his eventful journey to the top and his upcoming projects. Since starting his business in 2001, Beltagy’s name quickly became synonymous with the biggest parties and events around Egypt. 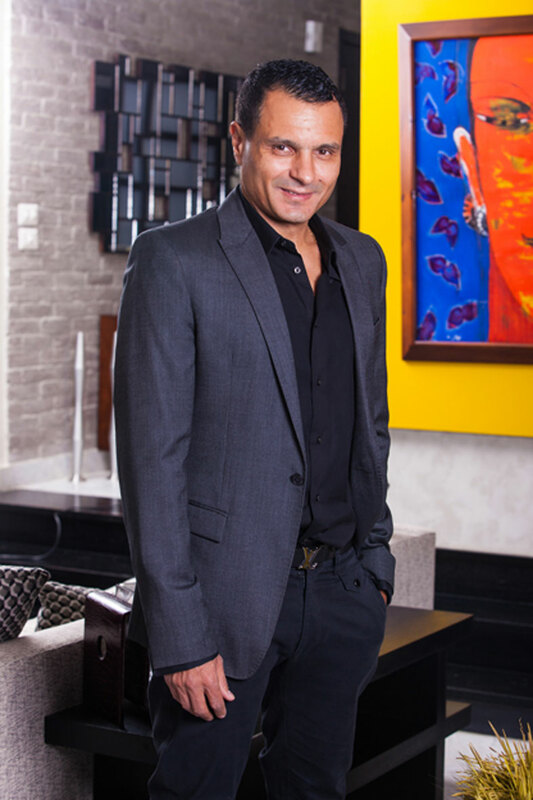 Today he is considered one of the most successful entertainment businessmen in Egypt. But Beltagy’s path to success was an unusual one. Surprisingly, Beltagy began his professional life as a medical doctor, an oncologist, treating terminally ill cancer patients and specialising in bone marrow transplants. But the stress was too much for him. Constantly being surrounded by this aggressive disease and the suffering his patients went through led to a phase of acute depression. “When a patient would die, I would keep asking myself if I was a bad doctor or if it was his inevitable fate,” he recalls. He began to think he needed a change of career. “I decided to make a career shift and to start my own business, but I wasn’t quite sure what that would be,” Beltagy explains. He tried a few small businesses here and there, but nothing really excited him until, in 2001, he picked a field that combined his love for the arts, travel, and entertainment. “I decided to start planning events, and my first project was planning Miss Egypt in 2001.” Soon enough Beltagy was planning big ticket events like Andrea Bocelli’s concert in 2002, Enrique Iglesias’ performance in 2004 and the Al Ahly soccer match with Roma. But Beltagy recalls that the fact that his father was the Minister of Tourism at the time was an obstacle for him. “I wasn’t able to be fully out there due to my father’s position. I started off with shy trials just to get the ball rolling.” When Beltagy’s father left office in 2006, he finally had the opportunity to aggressively pursue his dream. “I wasn’t shy anymore, because if you’re shy, you will never be a leader.” So Beltagy went all out in his quest to conquer Egypt’s entertainment scene. One of the biggest and proudest moments in Beltagy’s career had to be bringing Beyoncé to perform in Port Ghalib in 2009. Leading a team of 400 experts, Beltagy executed the concert beautifully. The event was attended by almost 9,000 people and was one of the most talked about events in Egypt. Nominated in three categories including best venue, best temporary structure, and best layout at the Middle East Event Awards in 2010, Beltagy was taking the Egyptian entertainment industry by storm. Another milestone for Beltagy was the opening of Tamarai in 2009 with his partner Ayman Baky. “This was the long awaited venue I had been dreaming off,” he recounts. With his partner sharing his vision and dreams, Tamarai soon became the hotspot Cairo’s elites flocked to. “The life cycle of clubs is usually two years; we managed to keep it open and running for five, even with all the obstacles we faced,” Beltagy explains. Through political instability and the opening of competitors, Tamarai managed to maintain its position as the leader in nightlife hotspots. It’s more likely than not that Beltagy and partners will deliver on TIU’s promise and perhaps even exceed expectations. We can’t wait to see for ourselves!